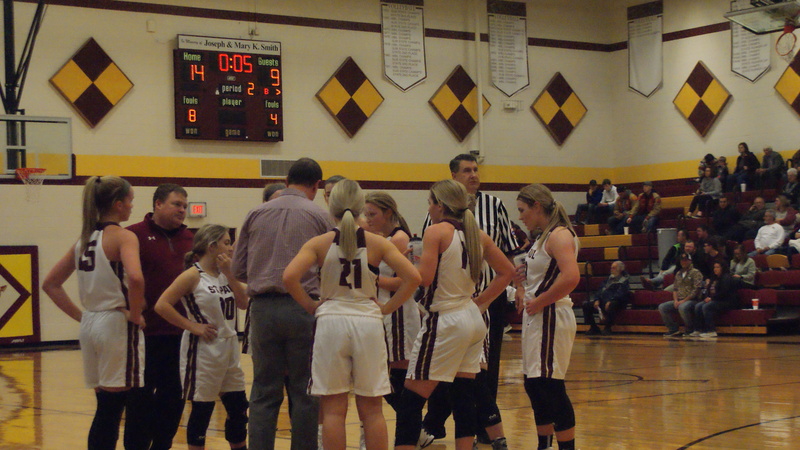 Monday, Jan. 15, the St. Paul Lady Indians (7-1) kicked off the annual Lancer Classic against the Pierce City Eagles. In the Lady Indians previous matchup, it was a down to the last second game as St. Paul narrowly pulled away from Colgan, 43-42. In the first quarter, junior Katie Coomes continued her hot shooting from the last couple of games as she scored 6 of St. Paul’s 10 points. The Indians would hold the Eagles to only 4 points in the first off smothering pressure defense. The second quarter brought about a slower start for the Indians as Pierce City slowly gained momentum off missed baskets and slow production from St. Paul. But Coomes would the come in clutch once again scoring 7 of the 10 points for the Indians in the second. St. Paul led 20-12 at the half off a terrific performance from Coomes and 15 turnovers from the Eagles. It was all the Indians in the second half as Pierce City had no answer for the hot shooting of the Indians. 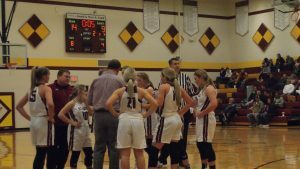 Juniors Emily Hutcherson and Taylor Wiatrak’s ball-hawking defense helped create transition opportunities which in return largened the lead into double digits. The Indians were able to get hot at the right time as Pierce City had no answer for the terrific all-around second half play of St. Paul. Coach Tuck and his Indians went on to defeat the Eagles 47-31. Junior Katie Coomes led all scorers ending her night with 20 points and a handful of rebounds. Junior Taylor Wiatrak made an impact as well on both sides of the ball with 5 points and 4 steals. Following the victory, the Lady Indians (8-1) will face the Parsons Vikings (7-3) in a semifinal matchup of the Lancer Classic, Jan. 17 at 7.